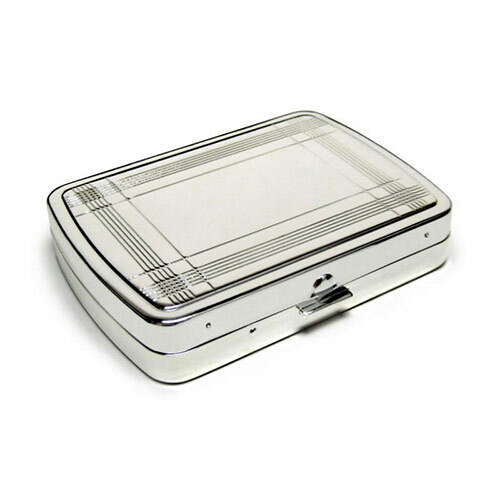 These attractive travel sewing kits are essential accessories for the executive on the move. Featuring a hinged case with a fine quality silver plated finish, they contain all the necessary tools for a quick fix while travelling. 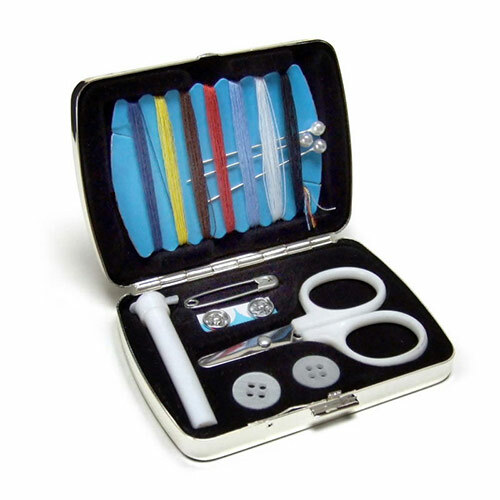 Each set contains a selection of coloured threads, needles, pins, buttons and a pair of scissors. The silver plated case of these travel sewing kits is ideal for engraving.